Har­vard-West­lake is a pri­vate high school with ath­let­ic pro­grams geared for train­ing future Olympians. 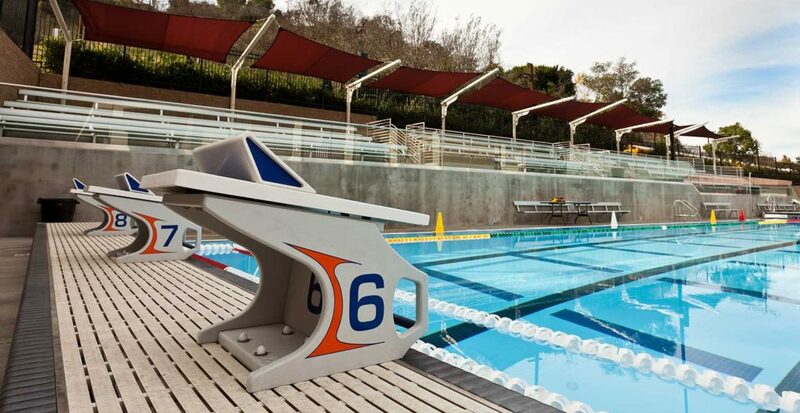 The cam­pus’ 52-meter x 25-yard pool fea­tures a mov­able bulk­head that allows the pool to be con­fig­ured for any com­pet­i­tive length. 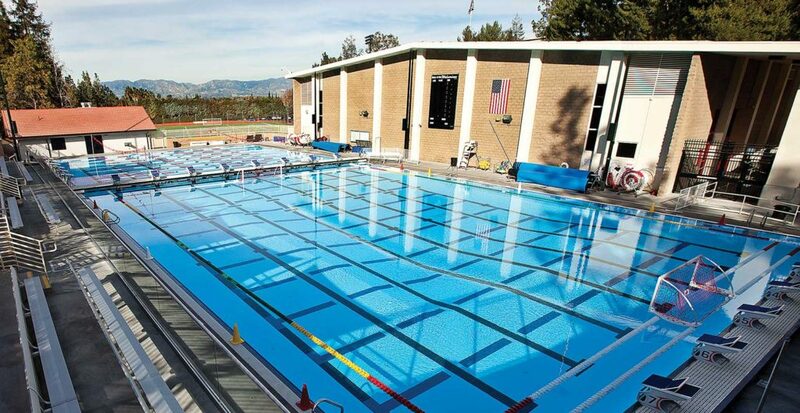 The school’s water polo, swim­ming and div­ing teams can prac­tice simul­ta­ne­ous­ly, which was not pos­si­ble with the old pool. 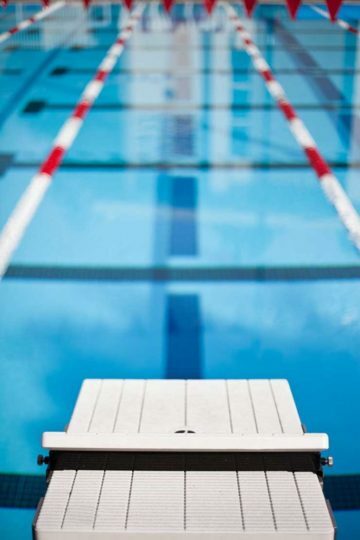 The facil­i­ty also fea­tures spec­ta­tor seat­ing, a new bath­house and a new lock­er room facil­i­ty for region­al meets.